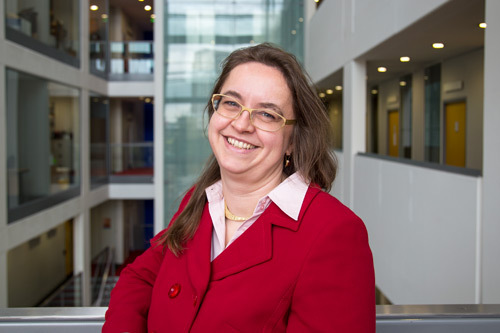 Claudia has extensive experience in pre- and post-award management of research funding. She now heads the Research Support Services team. Her role is to shape the new research support services team across a spectrum of activities from sourcing and securing research funding to post award management of awards and reporting on research outputs. She works closely with the Vice-President (Research & Enterprise) and the Associate Deans in the Schools in development and implementation of the City research strategy. She also takes a lead on particularly complex and high-level funding arrangements, such as doctoral training partnerships. Her background is in Chemical engineering and Materials Science. After having gained her PhD she worked as post-doctoral research for some years in the UK before changing her career track and moving into research management.